Girl Scouts of Colorado is thrilled to partner with the Colorado Women’s Hall of Fame to launch a new patch program for all Girl Scouts in Colorado. 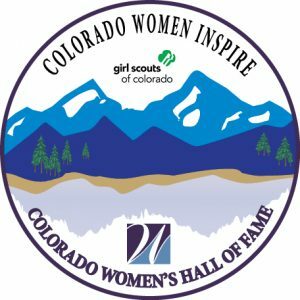 Girl Scouts of all ages can complete at least three of the seven activities listed on the online instructions within 12 months and earn the Colorado Women’s Hall of Fame (CWHF) patch. Once activities are completed, troop leader, parent, or guardian should fill out the online notification form and patches will be mailed to an address of their choosing. The first 200 Girl Scouts who complete the program will receive a FREE patch. All Girl Scouts should take the Girl Scout Internet Safety Pledge before starting their online research. After your Girl Scout/Girl Scout troop has earned this patch, share your experience on the Girl Scouts of Colorado blog! Special thanks to M.L. Hanson, Jill Tietjen, Beth Barela, Tiffany Critz, and the Colorado Women’s Hall of Fame for developing this patch program for all Girl Scouts in Colorado. Questions? Email GSCO Community Partnerships Manager Aimee Artzer at aimee.artzer@gscolorado.org.